The study of material culture is one of the core fields that characterize ethnology as a discipline. 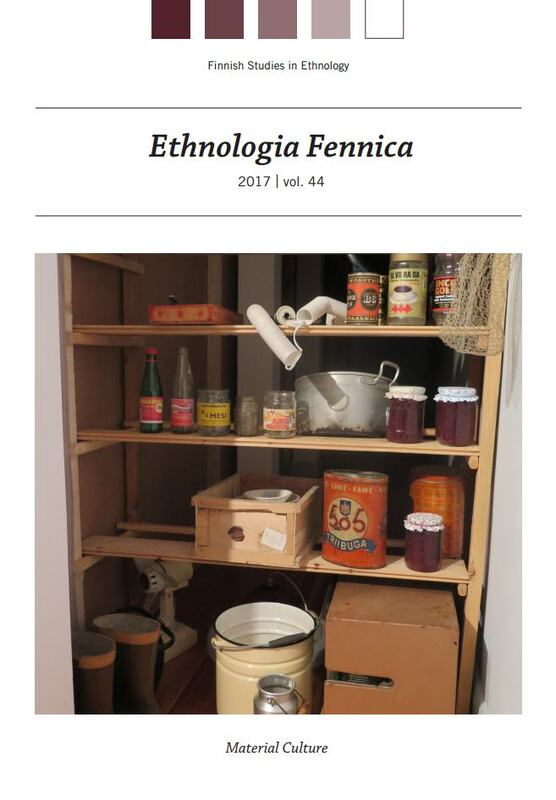 This year’s volume of Ethnologia Fennica presents contemporary ethnological research on material culture. 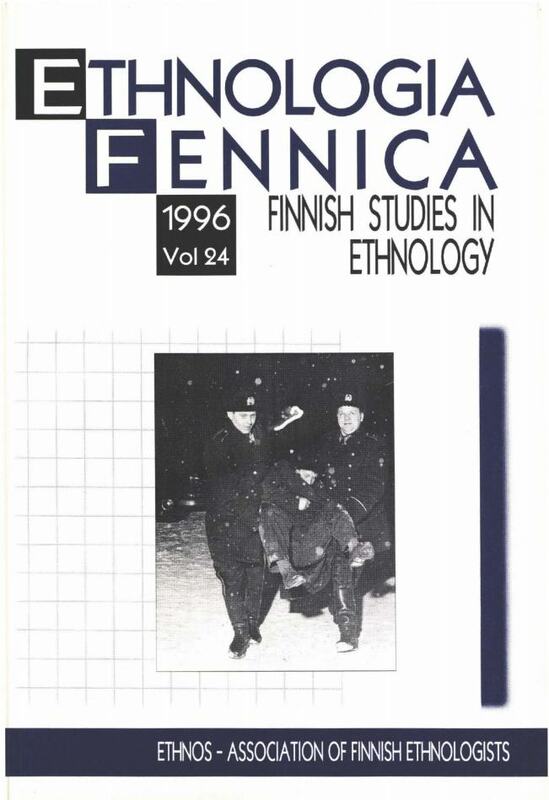 This volume of Ethnologia Fennica is the last volume published in print. Starting from the next volume (vol. 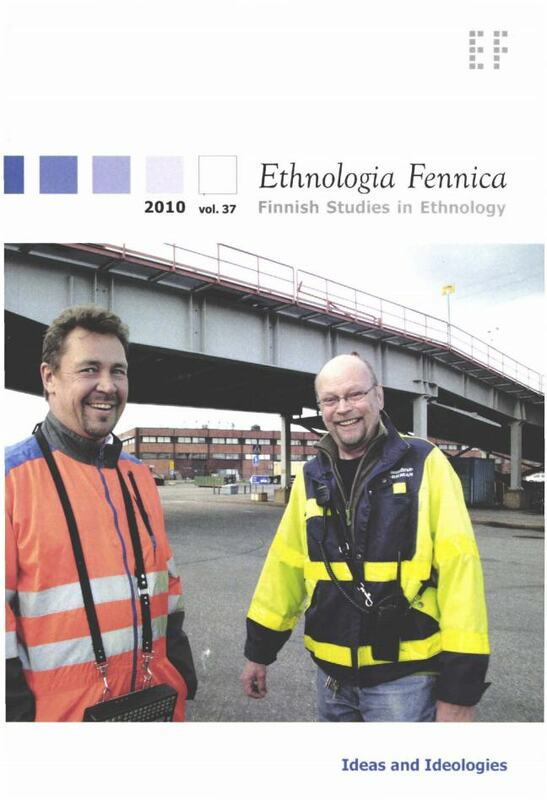 45), Ethnologia Fennica will be an electronic open access journal published in Open Journal Systems. The journal’s electronic archive also includes several EF’s previously published volumes. The journal’s new management and publishing service is provided by the Federation of Finnish Learned Societies and it was launched in 2015. 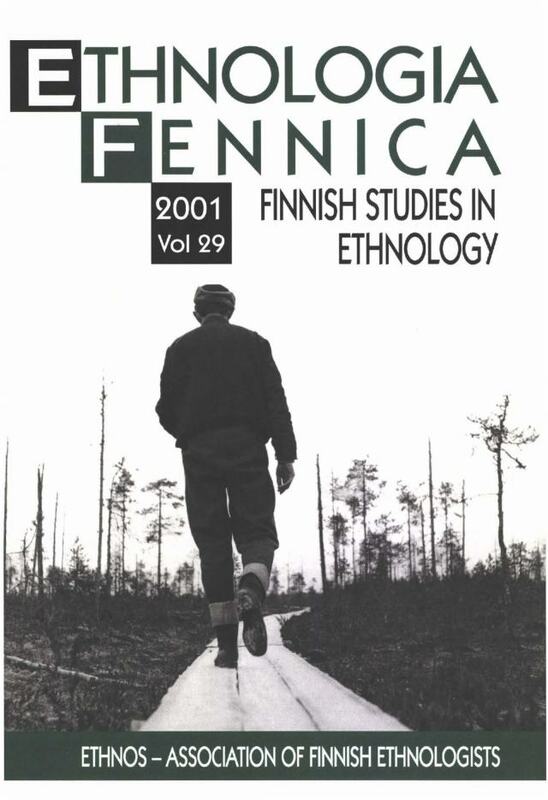 Thanks to the technical and other valuable support from the Federation of Finnish Learned Societies and to the funding granted by the Emil and Lempi Hietanen fund of the Seurasaari Foundation, the transition has progressed smoothly, and Ethnologia Fennica is now able to step into the age of open access journals. 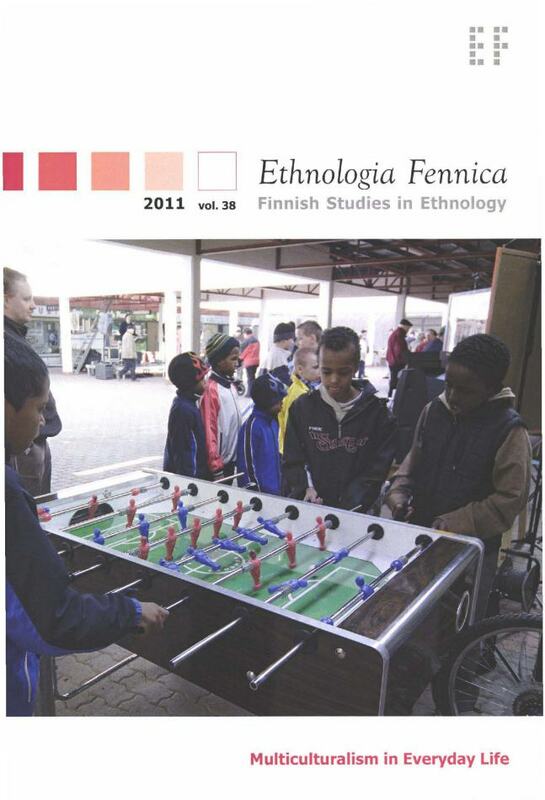 The themes in this issue of Ethnologia Fennica are transnational practices and connections in the everyday lives of migrants and non-migrants in Europe. 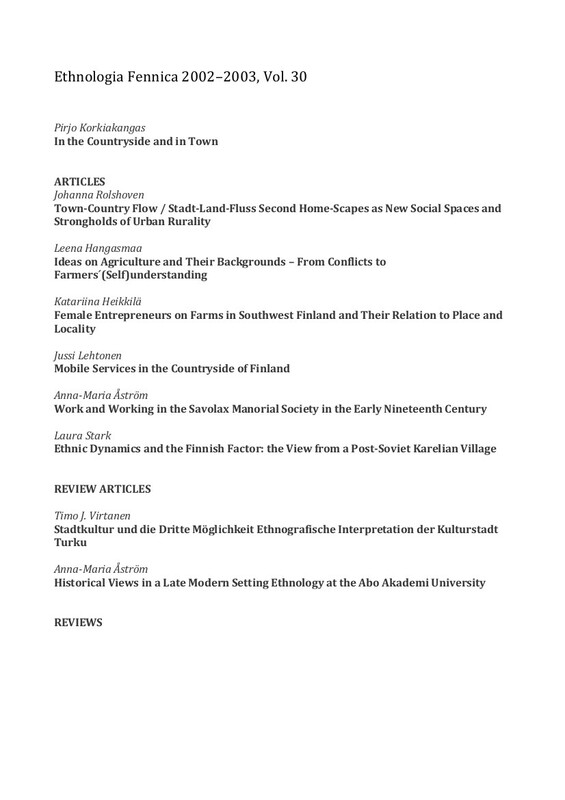 The theme issue originates from a seminar titled “Transnational Processes and Practices among European Diasporas – Ethnological and Anthropological Approaches” held at the Department of History and Ethnology, University of Jyväskylä, Finland, in November 2013. The purpose of the seminar was, first, to bring together recent international research in ethnology and its sister disciplines, and second, to trace out how transnational and translocal perspectives have been utilized and understood in these disciplines when studying migration in contemporary multicultural European settings. An open call for articles focusing on these questions was issued in 2015. Scholars were encouraged to write articles about migrant individuals’ or groups’ transnational and translocal practices, social networks, and/or social ties and responsibilities which are closely linked to everyday life. The internet has changed our lives within just a few decades: we watch TV, pay our bills and fill in our tax forms, book appointments and hotel rooms, look for recipes, communicate, form networks and share our everyday lives on the internet. It would actually be easier to list what we cannot do on the internet rather than list what we do or could do on it. For example, sociologist Christine Hine (2015) has noted that the internet is embedded in our daily lives, cultures, social interactions and economies to the extent that it should no longer be considered a curiosity. 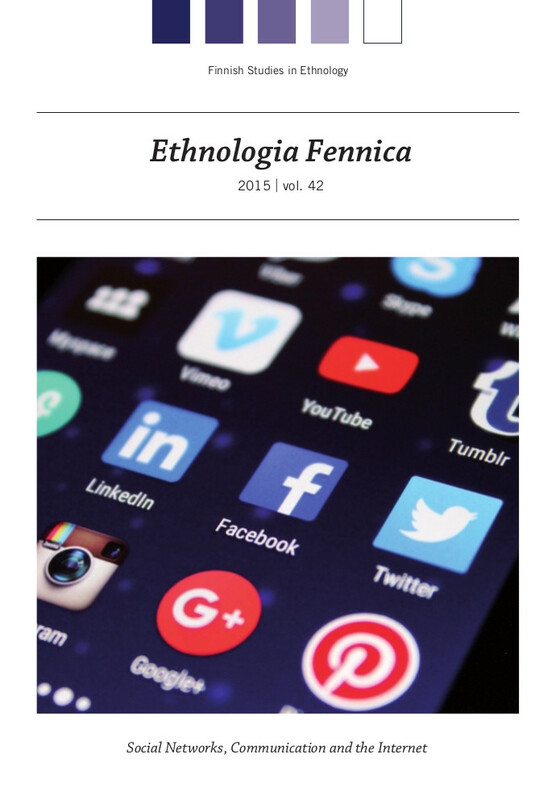 The call for papers in Ethnologia Fennica 2015, volume 42, asked writers to discuss how internet-related communication and social networks are studied and discussed in contemporary ethnological research. 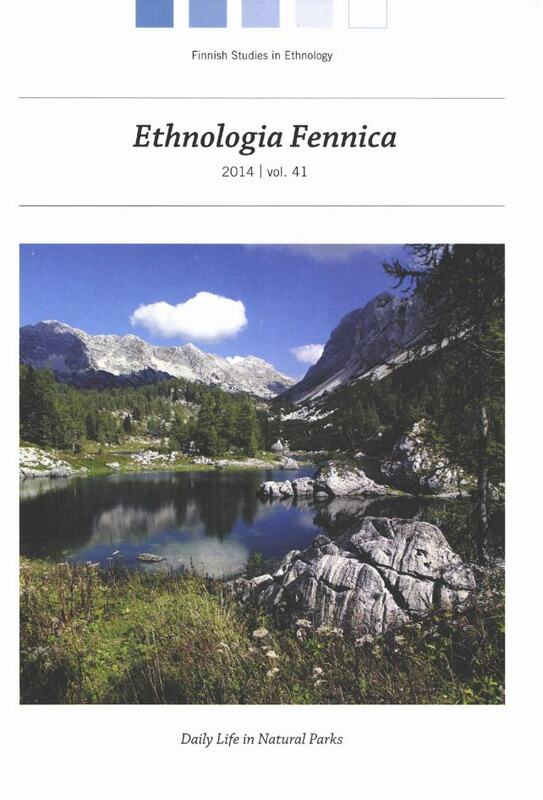 This issue of Ethnologia Fennica is centered on daily life in national parks in Europe and on the varied actors, relationships, activities, and strategies that shape the cultural specificity of the everyday as a social and cultural process. The inspiration for this issue was the panel organized for the SIEF biannual international conference (Société Internationale d'Ethnologie et de Folklore - lnternational Society for Ethnology and Folklore) held in 2013 in Tartu, Estonia. The panel, organized by Jurij Fikfak and Tatiana Bajuk Sencar, was titled "Structures of daily life in national parks: between theory and practice," and presenters shed light on the culturally significant issues that shape daily life in a number of parks across Europe. 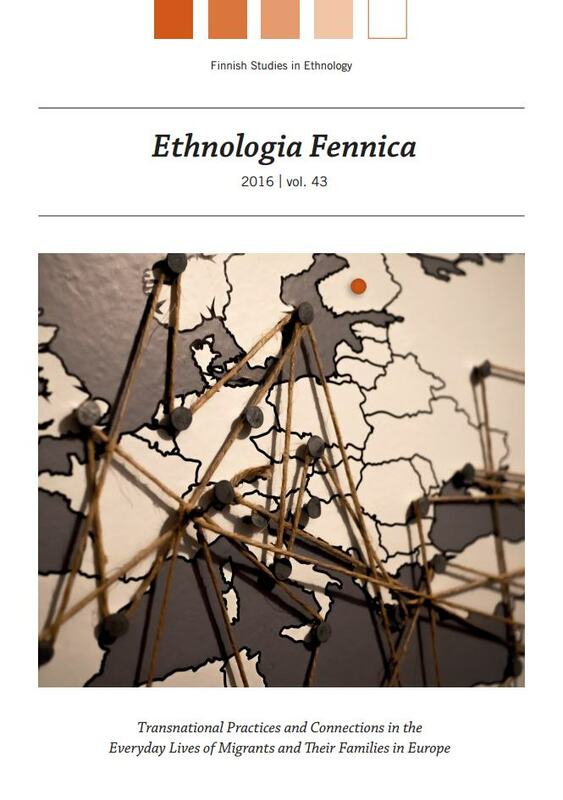 The call for articles for this issue of Ethnologia Fennica specified no particular theme. The intention was to give as many ethnologists as possible the chance to offer their articles for publication. As befits modern research trends, the articles shaped the subject matter of the issue - broadly speaking - into Culture and Locality. Cultural rcsearch on locality has been a common thread running through the historyofethnological research and one which has also been visible ever since the early years of Ethnologia Fennica. The need to attach oneself to something, a concrete location, a home region and its history, people who stand for similar principles, work for similar goals and possess similar mentalities, is still important for building and strengthening people's emotional well-being and identity. 'Home' is a multidimensional concept and phenomenon. Just as places get new meanings through personal experiences, a dwelling is transformed into a home through actions and repetitions, through the special meanings that are connected to a place. What is important in the process in which a place becomes a home is the fact that the dweller has the possibility to rework her or his environment and to break the repetitions in it, to have autonomy and functional freedom over the place. A home can be defined as a combination of physical space and the artefacts and atmosphere in it, including the dwellers and the relationships between them. To be a home a dwelling needs its dwellers, and in this sense the concept itself is dynamic by nature. During the early 2000s, multiculturalism has been ubiquitous both as a concept and as an everyday phenomenon in Finnish and European discourse. This development has also been mirrored in ethnological research, in its perspectives, concepts and theories. Multiculturalism, however, is a challenging concept for research owing to its popular and multi-faceted nature. Moreover, it can take on socio-political connotations even during the research process. And behind the concept of multiculturalism lie a variety of other phenomena. Ideas and ideologies have in different ways always been present in the traditional subjects of ethnological research. However, only recently have such connections been seen as relevant research questions to be put forward and analysed in ethnological studies. The basic value of research was supposed to be objectivity. In order to be scientific researchers were required to stand outside their research topics and fields and to carry out their research as neutral observers. This assumption was reflected both in the topics researched as well in the ways researchers approached and dealt with these topics. The time when ethnologists would come to regard themselves as part of their research and, as such, would feel obligated to engage in self-reflection was still to come. In its most basic form, this change has been visible in how ' I', the researcher, is present in her or his texts. lt may be self-evident to present-day ethnologists that ethnological research should be understood as socially constructed and, as such, as political and committed to certain ideas and ideologies. However, recognising these elements in research is only the first step in attempting to analyse the 'currents' present in and affecting ethnological research. 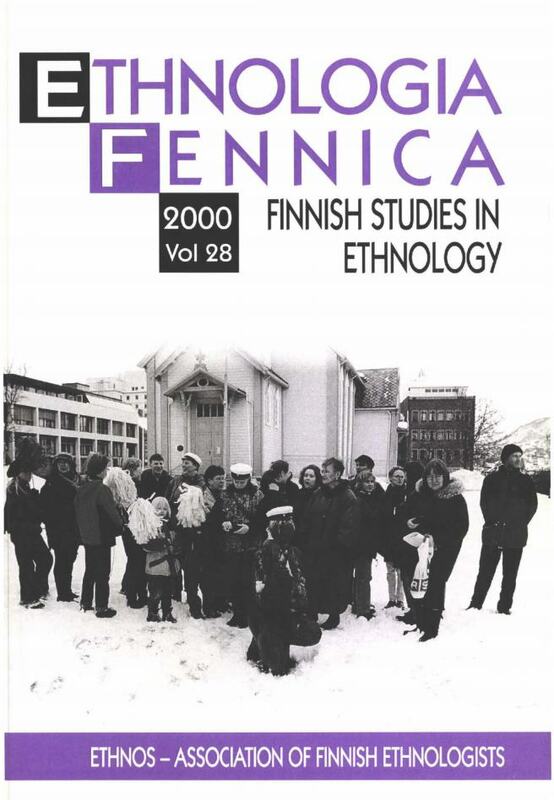 The theme in this volume of Ethnologia Fennica is empowering practices and the modernization of the Finnish countryside. All the articles are based on the studies conducted in two research projects led by Professor Laura Stark. ln the introductory article, she outlines theoretical starting points, concepts and objcetives shared by the writers of the articles. The Finnish countryside is connected through changes taking place between the mid-19th century and the 1960s, as the predominantly agrarian country shifted towards an industrialized and urban society. The material creations of human beings, such as buildings, objects and works of art, are visible expressions of cultural heritage. Apart from these concrete manifestations, cultural traditions and practices passed from one generation to the next form a collective cultural heritage that guides people's behaviour. This heritage manifests itself for example in customs, models of behaviour, oral and written tradition, rituals and rites. Through our actions, we participate in the perpetuation and also renewal of cultural heritage in various ways. Our culture changes constantly, and in order to construct our cultural identity in the midst of this change we need knowledge of our cultural heritage. Thus cultural heritage helps us to situate ourselves in time and space. Ideas and images of what is deemed culturally valuable spring, on the one hand, from objects and values that are nationally respected and, on the other hand, from connections that are based on meanings attached to locality and identity. However, one should not experience the evaluation of cultural heritage only in an ossified way, as idolization of aspects of the past. lnstead, what is culturally valuable should rather find its place in modern cultural contexts. The western, modern way of life is generally characterized as being focused on individualism and individual goals, from which the "togetherness" of the past has entirely disappeared. Seen from the point of view of cultural and ethnological studies, the experience of solidarity alongside individualism is part of the elevation and evaluation of locality and identity that acts as a counterpoise to the supposedly levelling effect of globalization. Our recognition of the significance of our own national and local cultural heritage can also be the foundation from which we can learn to understand and respect people who follow different cultural values, ideals and customs in their lives. The activity of humans as cultural beings is bound to conventional customs, praxis and communally accepted values. ln order to act as a cultural member a human must also strive to abide by these rules. Culture is on the one hand visible and on the other hand contains elements and parts that are concealed and hidden. Culture and its attendant aspects do not open up and reveal themselves the same way for everyone. As some things are only known by a rare few, some cultural elements can also remain concealed, unnoticed and forgotten. They can also be purposely concealed within, for instance, political, social or canonized cultural values and defended as such. However, culture and its values and customs are not static and should therefore not be evaluated solely from a current perspective. Nonetheless, the unravelling of a hidden culture can - and this usually requires temporal distance - promote the understanding of past events that have previously been seen as contentious and contradictory. One field of research in ethnology is the everyday life of so-called ordinary people: how one lives, works, spends one's leisure time or which cultural forms, customs, and routines are attached to everyday life. The everyday has often been defined according to Norbert Elias' interpretations as the opposite of that which is conceived as non-quotidian. On the other hand as the study of the everyday has gained a stronger foothold in various disciplines, everyday life has also been defined and conceptualised in increasingly diverse ways. However, everyday life does not seem to emerge as an unproblematic field of collective experience through customs and changes in society and culture at large, as its meanings alter depending on whose everyday life is being described. Mere Preservers of an Idyllic Tradition? 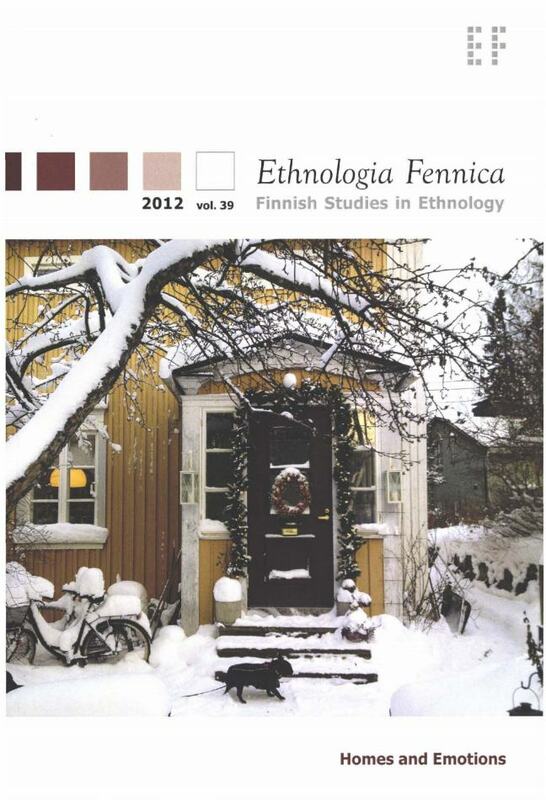 The theme at the 2003 autumn seminar of the Association of Finnish Ethnologists, Ethnos, was whether ethnologists have had any influence outside their own scientific community and whether they retain any contemporary influence. On the other hand, the subject of the seminar also touched partly on the core of ethnological research by differentiating how research in the field is understood and seen by the general public. Are ethnologists perceived as mere preservers of idyllic tradition or are they also seen as recorders and scholars of contemporary culture, and above all, as critical interpreters of their own age? The discussion associated with these themes continues in this issue of Ethnologia Fennica. 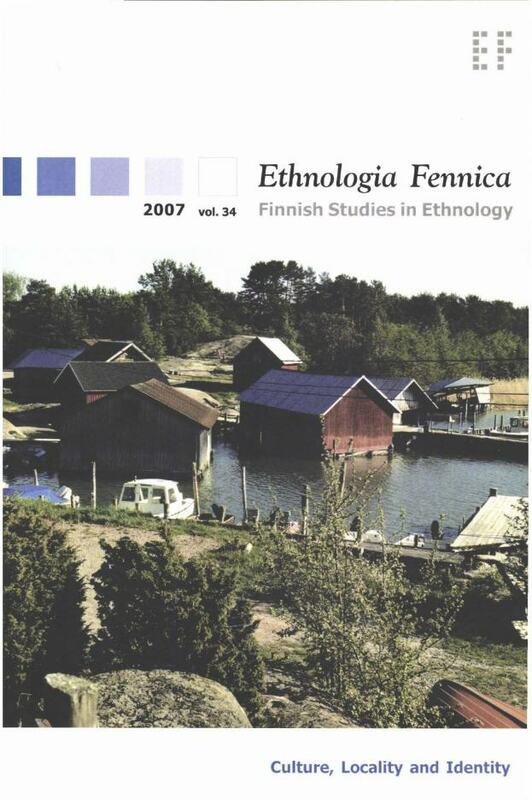 The 30-year history of Ethnos, the Association of Finnish Ethnologists, was celebrated in conjuction with the second Ethnological Colloqium organised in Turku in March 2002. The theme of two-day seminar In the country and in town. Represantions of the countryside and towns produced by research and museums attracted a large number of ethnologists ffrom different fields. 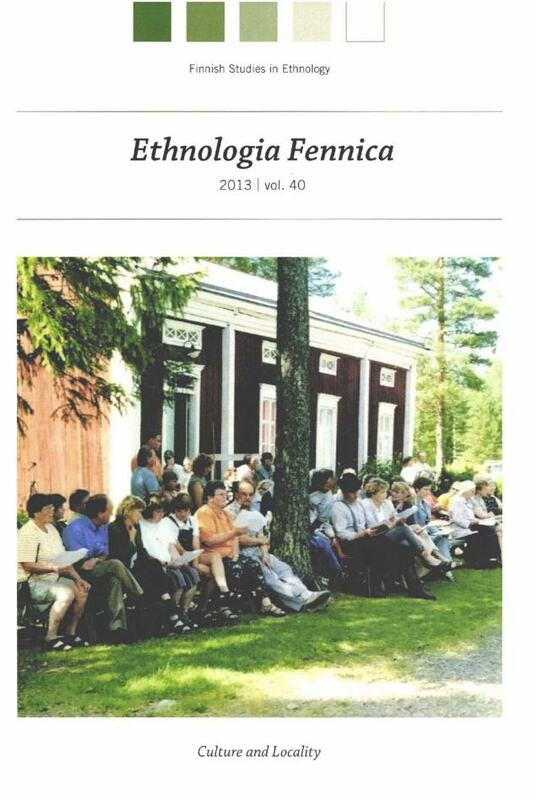 The present double issue of Ethnologica Fennica is in part based on the presentations given in the seminar. It became obvious in the meeting that ethnological research of the countryside and towns and the museum work connected to them are in quest of new forms and theoretical starting-points. 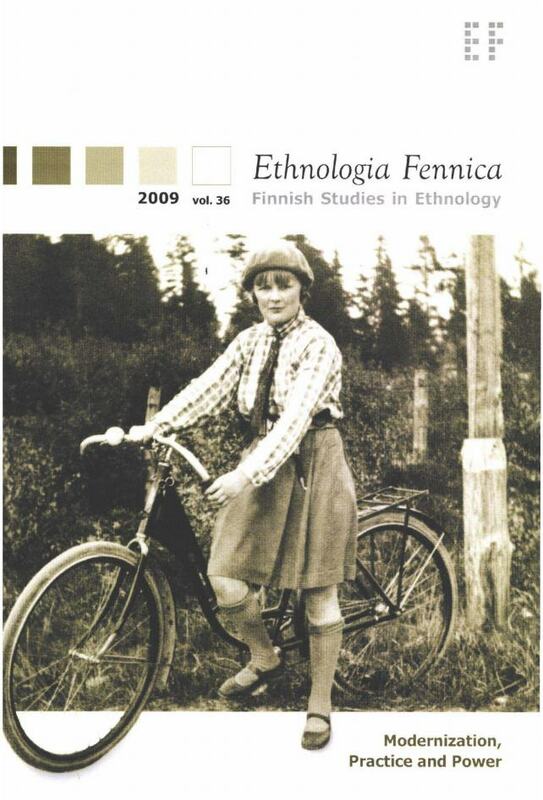 The study of values, appreciations, and identity has long been of interest to the Finnish ethnological research. At times, it has been more prominent and, at other times, it has remained in the background. Examining these issues is tied to a social and cultural context. There is currently a lot of social and cultural discussion about the nature of Finnish identity in the context of the European Union. The central question in this discussion concerns the degrees of preserving an identity: will our identity be lost or will it perhaps gain more strength under pressure of "becoming European"? One very distinct problem has been the concern for the vitality of the Finnish countryside. The position of the countryside is naturally undermined by our own internal development, which is leading to the desertion of the countryside, while people and services centre in the urban areas. 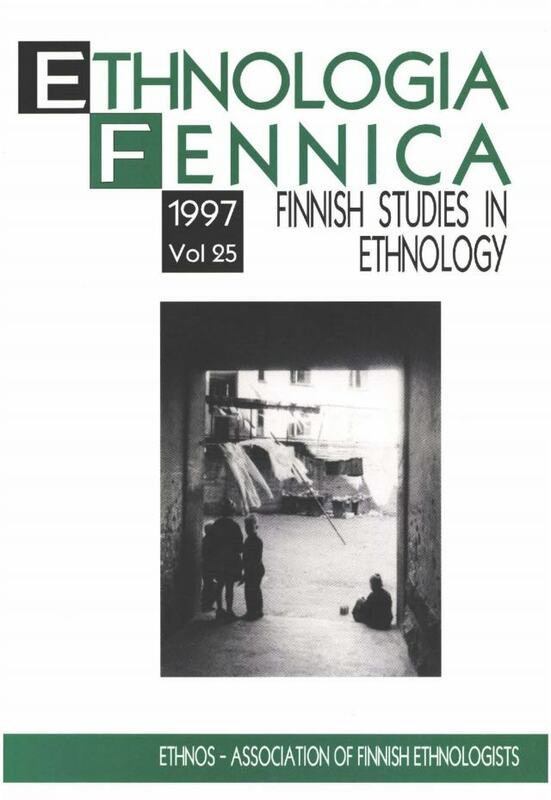 The 1995 volume of Ethnologia Fennica explored the relationship between people and their environments from the perspective of constructed, natural, historical, mythical, and technological environments. This thematic of man and the environmcnt is further extended and expanded in the current volume of Ethnologia Fennica. The emphasis is on cultural environment, and the approaches take focus on the experiences, ideas, and values of the individual the five articles of the volume discuss how moving to an unfamiliar environment affects people's everyday life, or how people make themselves adapt to the prevailing customs and conceptions characteristic to the culture of their new environment. The articles cover a large geographical and cultural sphere from the Finnic inhabitants of the United States and Northem Norway to the Eastern Mari in Bashkortostan and further to the Ghanaians living in Finland and the Finland-Swedes. were war, peace, and exceptional times as objects for research in the fields of ethnological and related studies. The first three articles in the present volume of Ethnologia Fennica are based on lectures given at this seminar. In addition, the theme of the fourth article is closely associated with war and peace. Thematically speaking, it seems that the interest of Finnish ethnologists is focused on war-time and the traumas and sentiments linked to it. The Finnish collective memory and emotionality were shaped and shaken especially by the Winter War (1939 - 1940) and the Continuation War (1941-1944). Also, it was not until the last couple of decades when the bitterest traumas in recent Finnish history, caused by the Civil War (1918), have started to unwind through research in various fields of study. The Civil War created an atmosphere in which the need and will for the defence of the country gained emphasis as well as the need to build armament; this is another theme this joumal deals with. 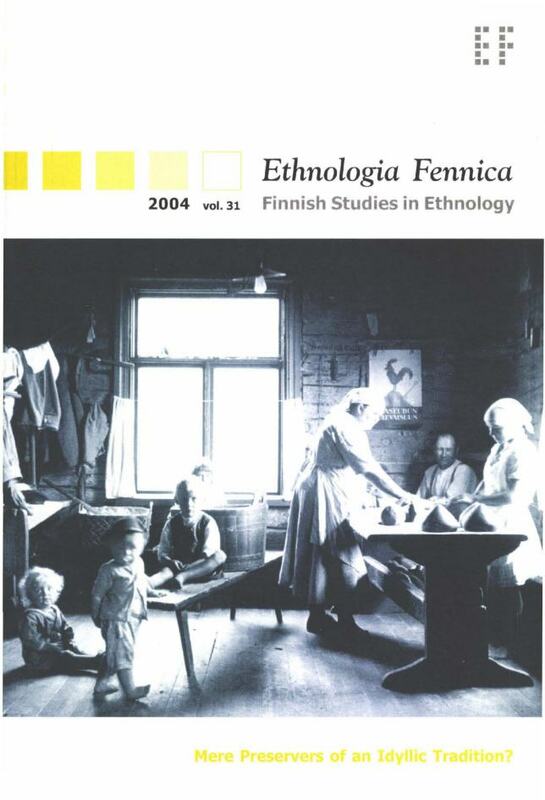 The study of objects has for a long time been an important connection between Finnish ethnologists, for example both for those employed by museums or by the departments of ethnology at universities. Recently, there have not been too many ethnologists working in this traditional field whereas, for example, gender has been one of the leading trends in cultural studies. 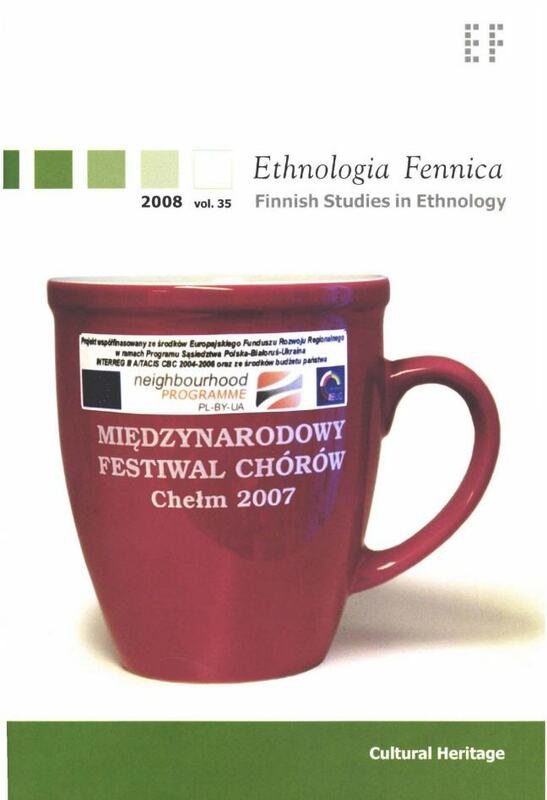 At its seminar of October 1998 at the University of Jyväskylä the Association of Finnish Ethnologists, Ethnos, connected the study of objects with the study of masculinity. 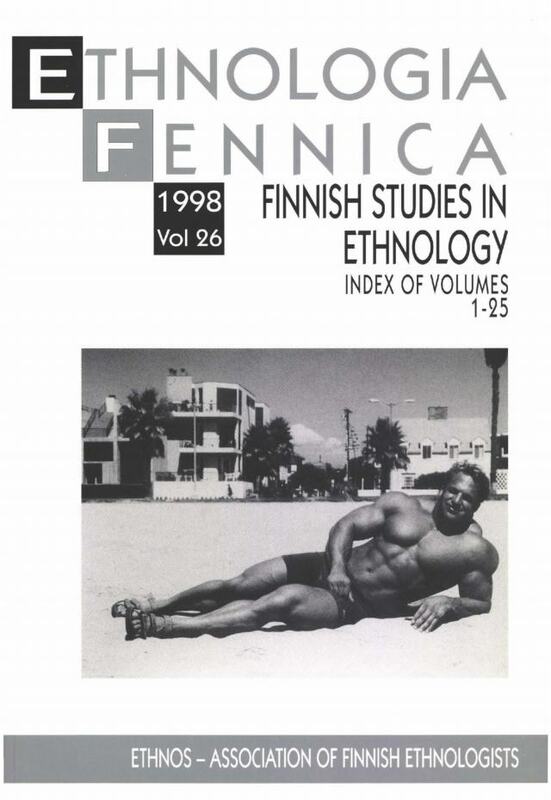 Two papers - both of which represent the extremes of manliness - presented in that seminar are now published in this years volume of Ethnologia Fennica: Taina Kinnunen's article discusses bodybuilding and also how the bodybuilders way of life can even become like a religion. Jan Löfström points out features considered masculine which can on certain occasions be seen as typical parts of the gay uniform. A third article makes the picture complete. ln his article on real uniforms, Juhani U.E. Lehtonen deals with the founding of the Finnish Army and the circumstances of the Civil War which took place in the year 1918. 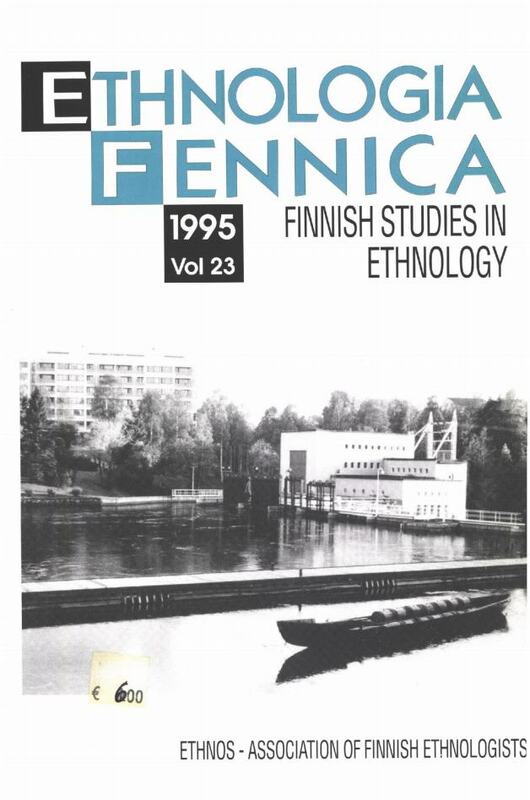 In September 1997 Finnish ethnologists gathered in Helsinki in a seminar with a theme related to recent discussions around Memory and Remembering from the ethnological point of view. The association of Finnish Ethnologists, Ethnos, celebrated its 25th anniversary with this seminar. It was time to look back - and into the future - in order to contemplate the question of what Finnish ethnology has been and what it will be in the future. 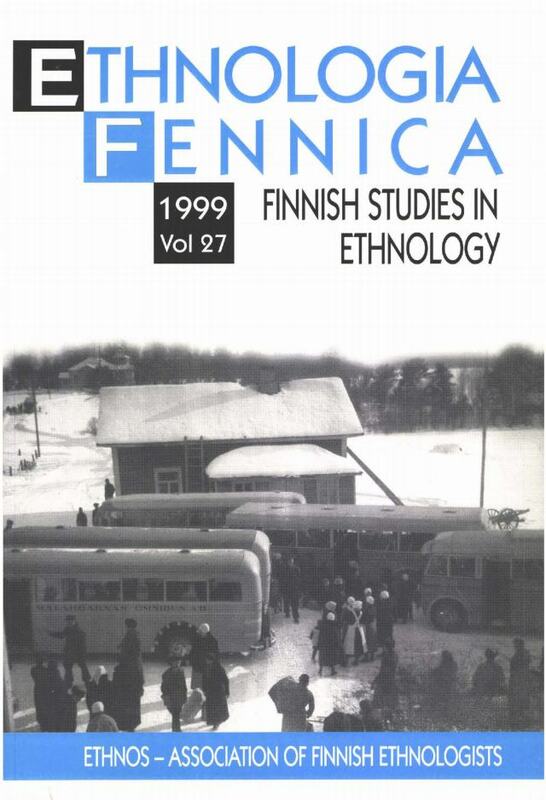 In this volume of Ethnologia Fennica we have collected articles revised from four seminar papers with commentaries by experts in the same field. Together they summarize current themes in Finnish ethnological research. Subjects vary from rural villages to urban settings and museums, from remembering to forgetting. The dialogue between the authors of the articles and the commentators represents different views of ethnological research. 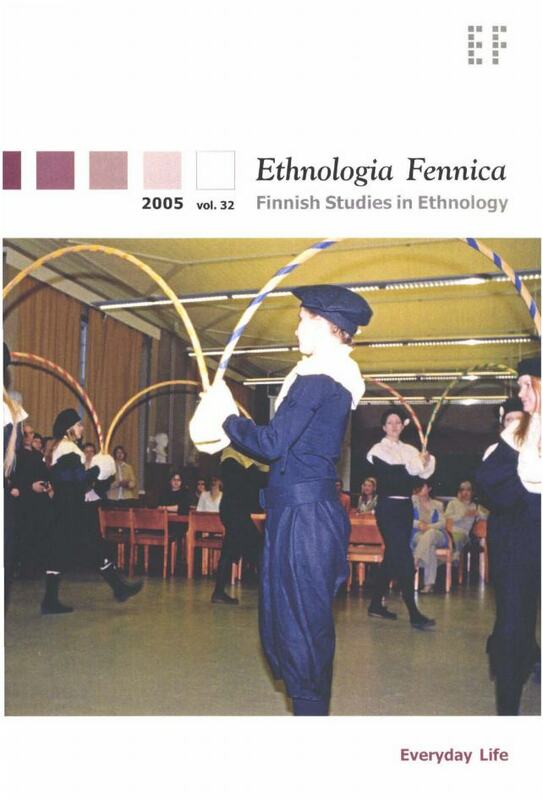 The Association of Finnish Ethnologists, Ethnos, arranged in November 1996 a seminar with the theme Marginal Phenomena. At the seminar were taken up borders, marginalization and being on the edge from the viewpoints of culture, economy and society. 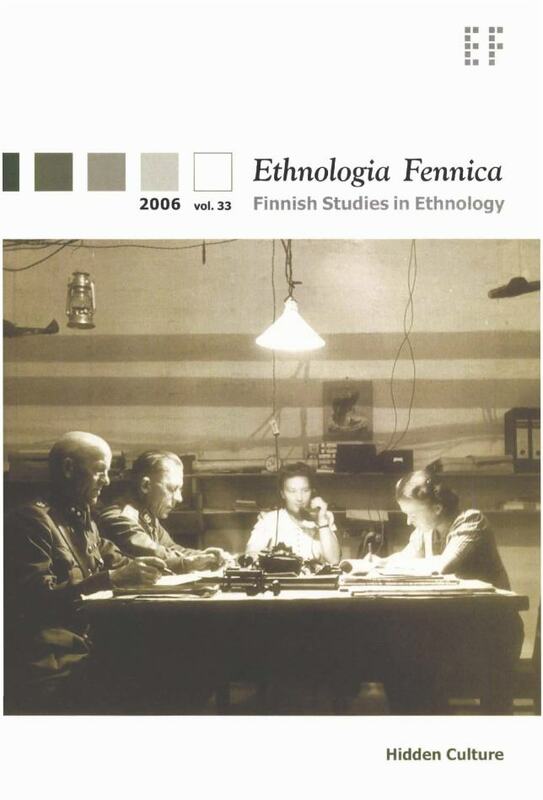 In this volume of Ethnologia Fennica we have collected articles revised of four seminar papers, all of which deal with the breaking down of cultural borders or marginalization from fresh perspectives.